“I like trying new things,” you say defensively, clutching the vacuum-packed brick of some unknown knobbly white substance. 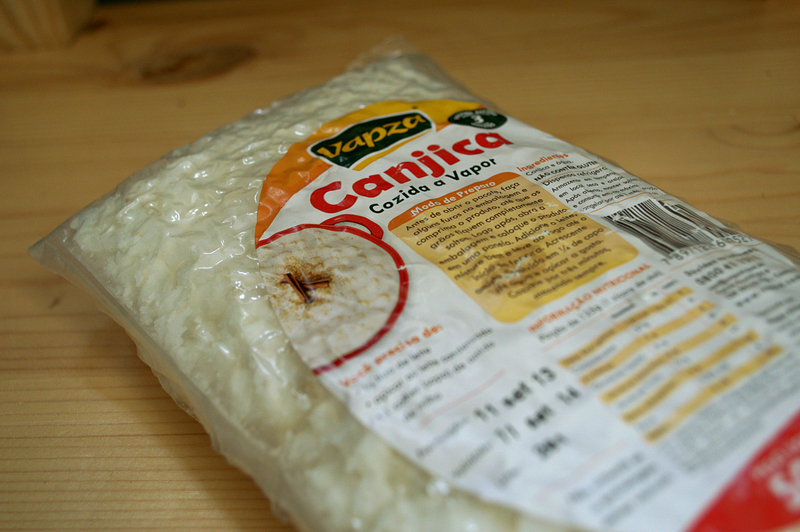 A quick google tells you that Canjica is de-germed grains of white maize, typically cooked into a sweet porridge. You follow the instructions and end up with something that looks like giant rice pudding. 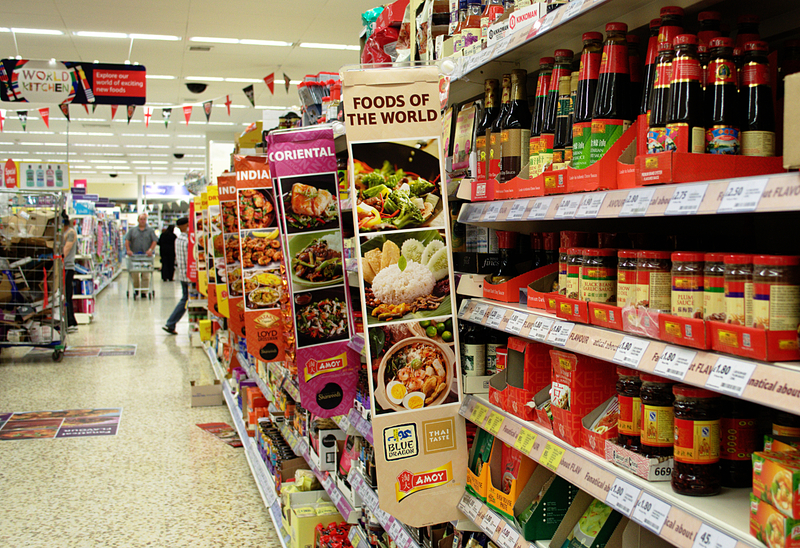 A previous foray into the Indian supermarket had resulted in you buying a packet of undrinkable tea and a bag of tapioca pearls with which you made what is probably the world’s worst desert. 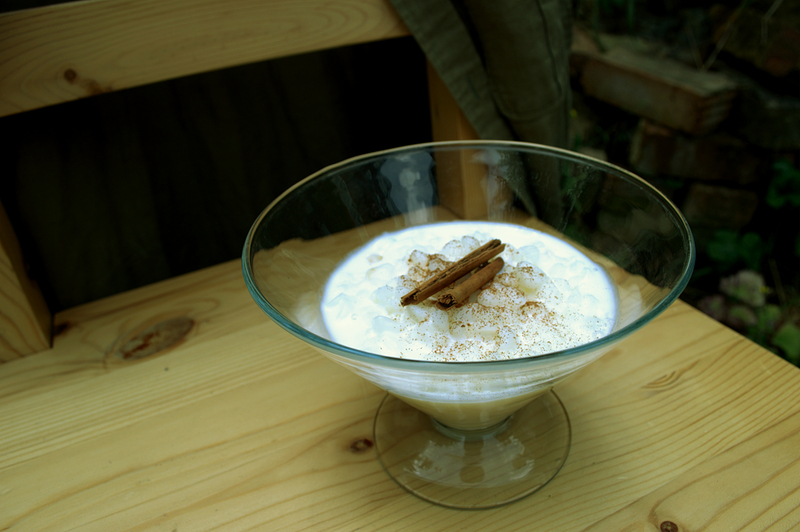 As you spoon the cooked Canjica into a bowl, you experience unsettling flashbacks to the paste-like tapioca pudding. But it tastes okay. It is a bit starchy, and a bit bland, but if you eat it with a lot of cinnamon and swallow very quickly, it is almost pleasant. 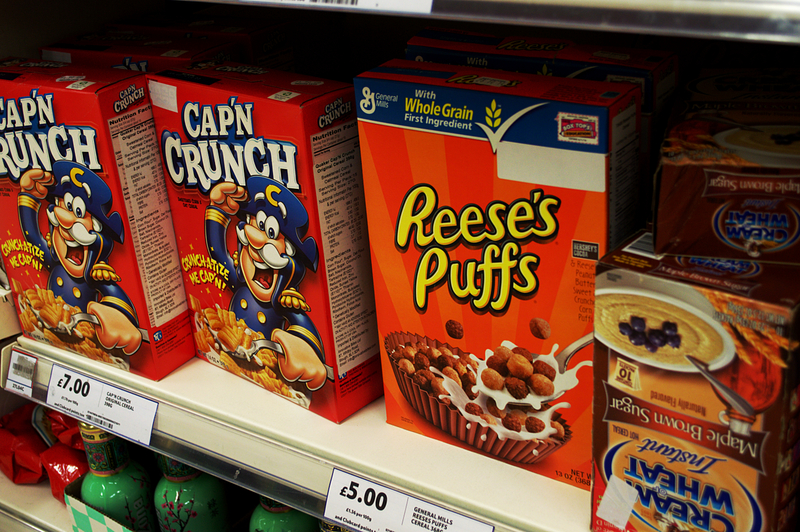 The American import cereals, with their nutrition labels covered (because grits aren’t ‘A Good Source of Calcium’ really). 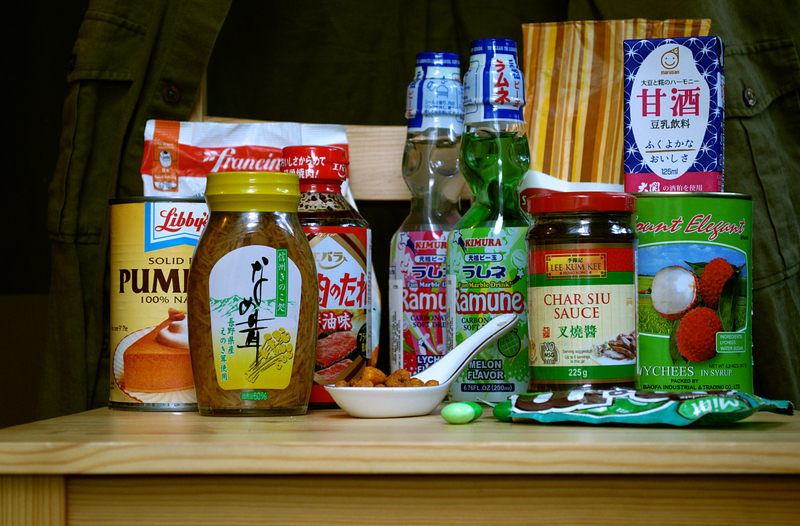 Olliebollen mixture, Japanese sodas, sweet sake, pumpkin puree, Mint M&Ms (vile), corn nuts, steak sauce and something that I’m still not sure of. Impulse purchases from world supermarkets in Central London have introduced you to delights such as sesame seed salad dressing, horchata (rice milkshake), makowiec (sweet poppy seed bread), lazanki (pork and cabbage pasta) and halwa (a grainy, crumbly sweet). Boo to you, Nigel Farage. Thanks to this post I will never try Canjica. That’s probably for the best really. Hey at least you can say you tried it! Well being adventurous with new food sometimes backfires. I saw “Turnip Juice” on a menu in Turkey and thought, “Eh, why not?” expecting it to be the juice of turnips. Instead I got a little dark bottle of liquid evil, the flavour of which I can only describe as a cross between fermented urine, sweaty foot, and concentrated acid. Apparently it’s very popular in rural Eastern Turkey. Oh good Lord!!! That actually sound evil.. And you actually drank it.. Phewwww.. I started raw green smoothies couple of months back and believe me first week I drank it considering a med just gulp it down somehow. Now I am used to of that taste. When travelling, my husband always orders the meal he is least likely to know. He’s picked some winners. That’s my favourite isle! Not necessarily in London, anywhere in the UK. What a great post – and top marks for being adventurous!! There’s so much good food out there to be discovered, that it’s worth a few duds along the way :)!! My kid is crazy for Ramune. 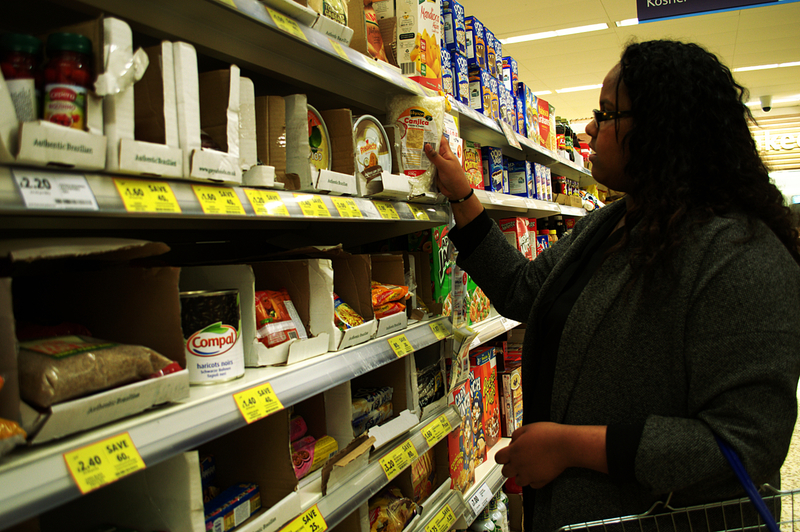 I had not thought of using foreign foods as a form of exploration. What a great idea!